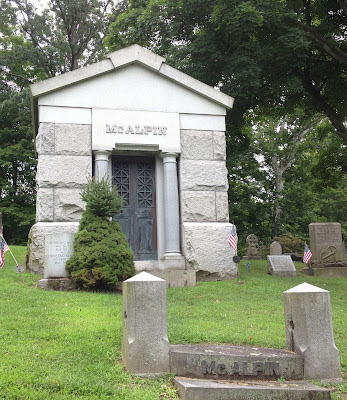 One of the stops on our recent vacation was Dale Cemetery in Ossining, New York, where my great great uncle Edwin Augustus McAlpin and family is buried. There is an article about Uncle Edwin in Wikipedia. 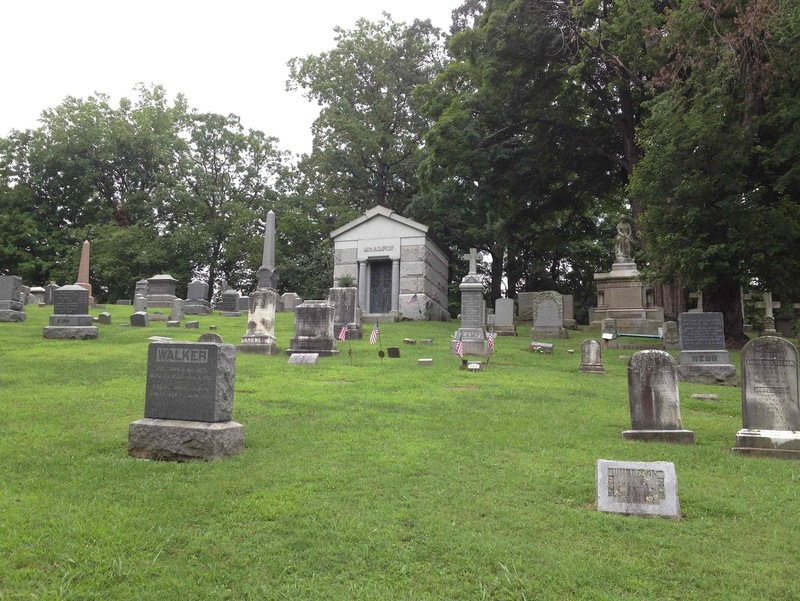 The McAlpin Plot and Mausoleum is in Section F, towards the back of this beautiful cemetery. The first photograph shows the view of the McAlpin Mausoleum from where we parked. According to the cemetery's records, there are twenty McAlpins (either by birth or by marriage) whose remains are at this mausoleum, two of whom are buried in lots in front of the mausoleum. My son kindly held back the evergreen so I could photograph the stone below. 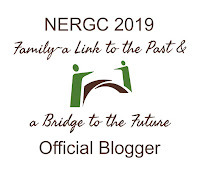 Townsend Martin McAlpin is my second cousin once removed, son of Benjamin Brandreth McAlpin and grandson of Edwin Augustus McAlpin, who was an older brother of my great grandmother, Frances Adelaide McAlpin, both children of David Hunter McAlpin, whom I've written about before. 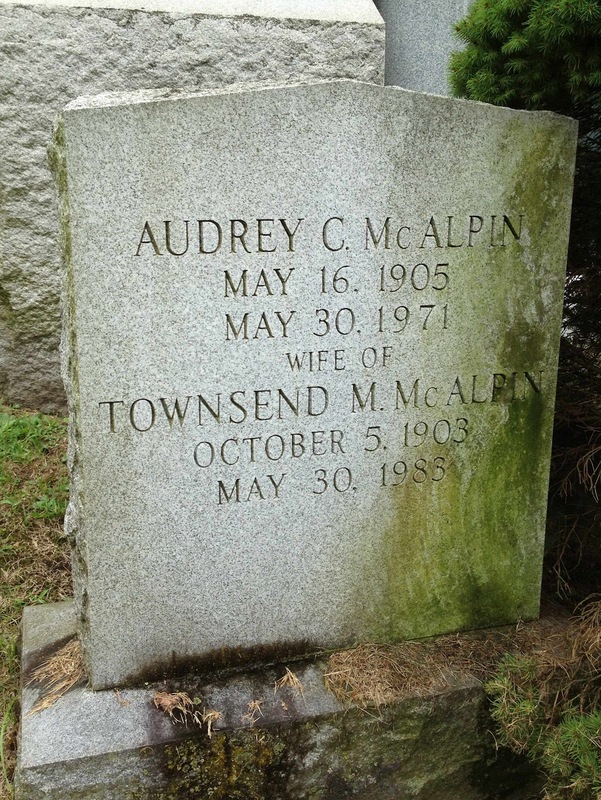 You can see the McAlpin family members which I added to Find A Grave by searching for McAlpin at Dale Cemetery. 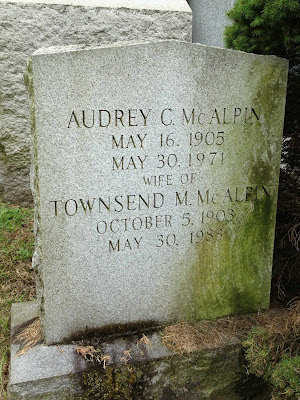 (Note that there are two women who married after the death of their McAlpin husbands and so don't have McAlpin in their names, but are buried here with their first husbands: Emily Benedict (Pickard) (McAlpin) Ramsey and Grace Irene (Norcross) (McAlpin) Bell.) I used Find A Grave's link family members feature so you can see the relationships. 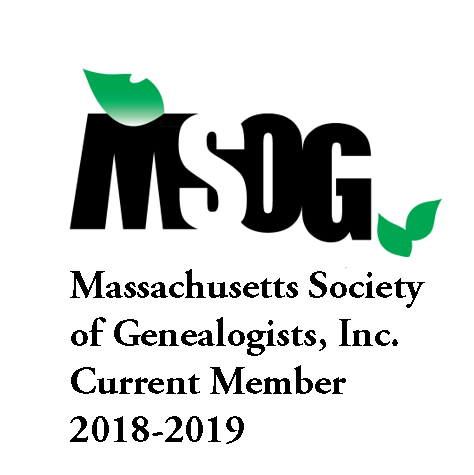 Tip for members of Find A Grave: as I was uploading photographs to Find A Grave, I noticed that they have increased the allowed maximum file size from 750 KB to 2 MB, so if you have a larger file size photograph, you don't have to worry about reducing the size before uploading to Find A Grave. Gorgeous photographs. So glad you had a helper along to help hold back foliage. I bet it was also good one-on-one time. I look forward to including my kiddos in my cemetery adventures. Thanks for the tip about the Find-A-Grave image size increase. I didn't know that. Devon, I wish I had started including my kids at a younger age, then they might be more interested now as teenagers.